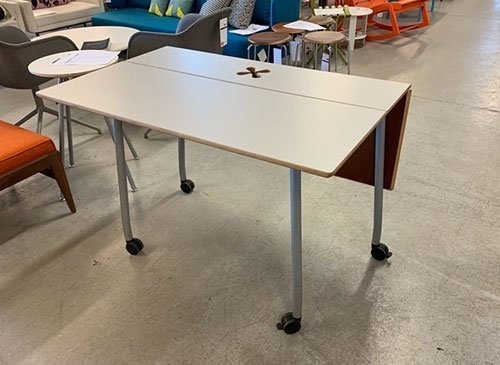 These 3/4″ thick, 29″high tables has a light grey laminate surface with a plywood edge. 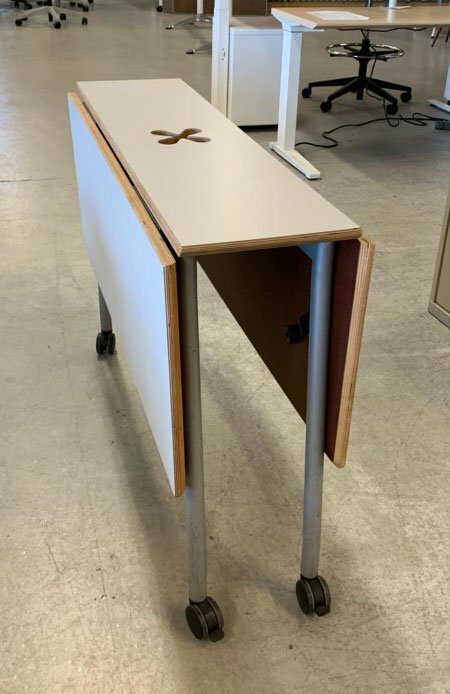 It has 2 folding sides, a center opening for wire management, and 4 painted legs with 2 locking and 2 non-locking casters. 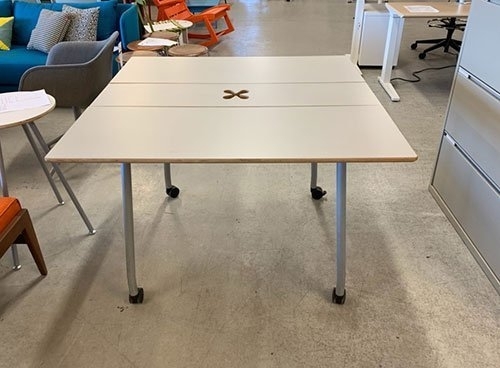 The table supports collaborative work activities and can be used with other tables for larger conference areas. It can also be used as a secondary surface within a workspace.